Everyone needs an advocate, a champion. Someone taking up the fight on their behalf to correct an injustice that occurred or an imbalance that exists. 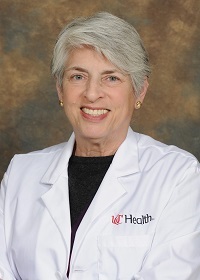 Where HIV, AIDS, and women are concerned, that champion is Judith Feinberg, MD, a professor of internal medicine at the University of Cincinnati College of Medicine. Feinberg is nationally renowned for her work on HIV and AIDS, and his contributed significantly to their effect on women. She has also brought to light the importance of working harder to include women of color in clinical drug trials designed to broaden the medical community’s knowledge about AIDS. So Feinberg speaks for all of them. Feinberg says one of the challenges facing women with HIV and AIDS is one of access and attention. Many of them have no one they can turn to because they don’t feel that their families will accept them. But there are other issues. Feinberg says that women have been excluded from studies in this area, so there is a paucity of information available to clinicians for guidance. What has come to light from studies comparing women and men is that women respond with much more nausea than men across a range of medications. That’s an education problem. Feinberg’s work as a researcher and caring clinician is not limited to patients battling HIV. She’s also heavily involved in the area of substance abuse. She created a syringe exchange program in Cincinnati designed to address heroin addiction and to cut infection rates of HIV and Hepatitis C.
The syringe exchange program, however, has had a host of hurdles to overcome, not the least of which is the conservative nature of the Cincinnati populace. But the challenges go deeper than simply political ties. Feinberg says that people—even sympathetic, educated people—don’t truly understand the meaning of harm reduction, which is a very important public health principle. The tendency is to equate the syringe exchange program to aiding and abetting—even enabling in many respects.